Over the last month or so, there have been a number of new phones released onto the Australian market. 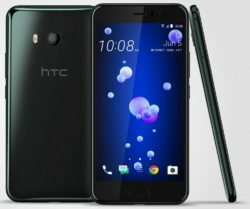 Included amongst these phones have been the Huawei P10, the Samsung Galaxy S8, and this week, local availability of the HTC U11 was announced. At the Gadget Grill we’ve been privileged to have been able to have spent some quality time with each of these phones, and in this week’s show we’re proud to be able to give you our thoughts on each of them. We also talk this week about your online security – your passwords, your data, and how to protect it all. Listen to this week’s show.